The Practice at Maxwell Place provides exceptional quality dental care to families in the Hoboken and Hudson County, New Jersey areas. Our dentists are committed to delivering the highly personalized, world class care you and your family deserve. Over the years, we have built long-lasting relationships with many of our patients, and this is one of the main reasons so many people in the Hoboken area choose to bring their entire family to The Practice at Maxwell Place for all of their important dental treatments. 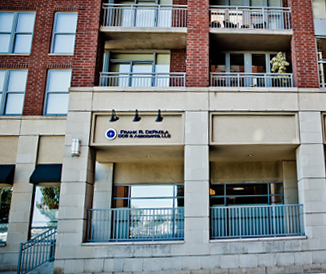 When you walk into our office, you will be treated as if you are part of our dental family. Everyone on our team – from our practice manager to our hygienists to our talented dentists – strives to provide a unique patient experience that addresses all of your dental needs. Please call 201-792-9400 today to schedule an appointment at our Hoboken family dentistry office. Hoboken family dentist Dr. Frank DePaola works hard to accommodate all of your family’s needs in the most convenient manner possible. He offers evening and Saturday hours so that you will not have to take time off work or have your children miss school to receive their dental treatments. Whenever possible, we will try to schedule appointments for your entire family at the same time in order to minimize your visits to our office. 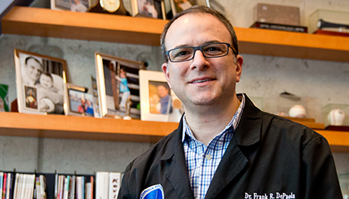 Dr. Frank understands that different stages of life bring different oral health issues. As a result, he has assembled a team of dentists who possess diverse areas of specialization in order to accommodate the many different oral health issues that may arise in each member of your family. With two pediatric specialists on staff, we are uniquely equipped to address all of your children’s oral health needs. We start treating children as early as age 1, and Hoboken pediatric dentist Dr. Jennifer Paik has extensive experience working with children of all ages. Our office includes a special play room for your children while they wait to be seen by Dr. Paik. Click here to learn more about Pacifiers and Teeth Development. Please contact The Practice at Maxwell Place using the form at the right side of the page or call 201-792-9400 today to schedule your initial family dentistry appointment. Dr. Frank DePaola serves patients in Hoboken, Jersey City, and throughout Hudson County, New Jersey.